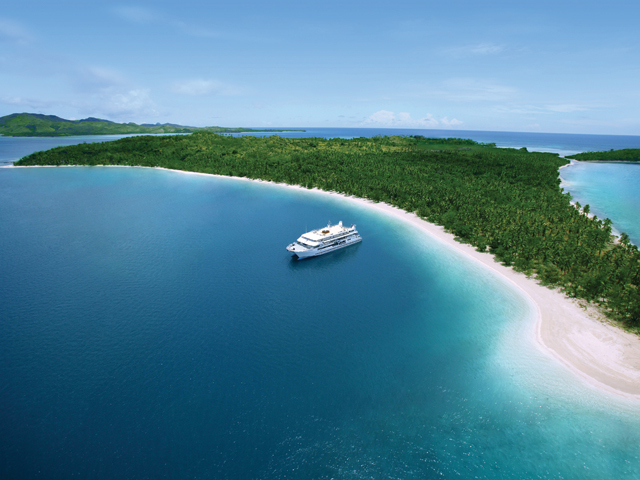 One of our prefered partners offers amazing cruise experiences in Fiji's Islands which are perfect for a special trip with your loved one. 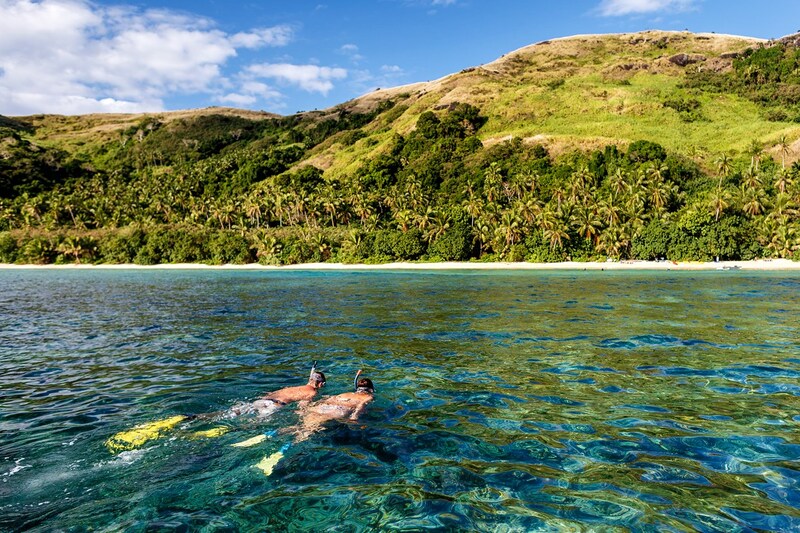 With more than 60 years experience cruising the Yasawa Islands, they've figured out the winning formula for taking guests to the most beautiful places in Fiji, showcasing the most rewarding activities and giving their guests the best possible experience in the untouched South Pacific! 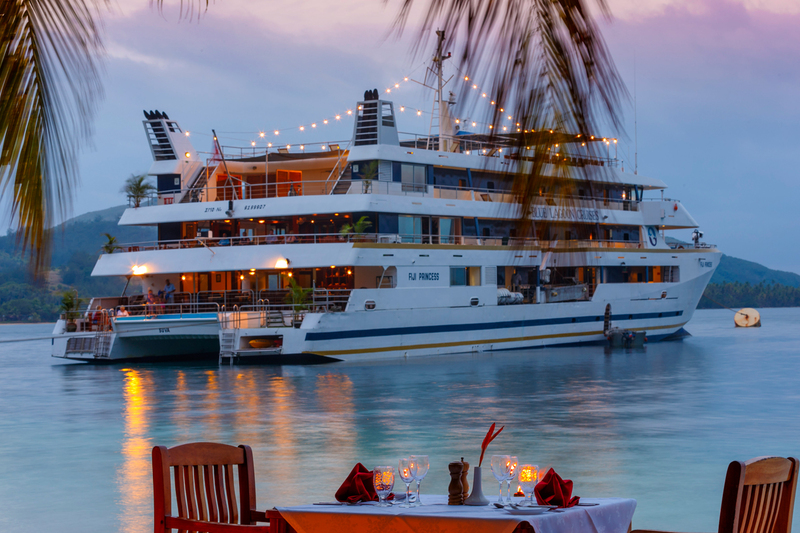 They offer a boutique cruise experience with a maximum of 68 guests. They are a fabulous choice for independent travellers or those who wish to charter the boat for weddings, family reunions, school alumni trips etc. These cruises are perfect for first time cruisers or those who don't enjoy open ocean cruising. Contact us for more information today! Fiji has over 300 islands! Blue Lagoon Cruises offers a great introduction to all Fiji experiences - travelling up to the Mamanucas and Yasawa Islands! Adults only (14 years and up) cruise except for special family cruise dates. Ask your agent for more details. They will pick you up from many of the Mamanuca islands for those that want to combine an island stay with their cruise. Access remote bays and beaches that large ships cannot get close to. Casual and informal environment with no strict dress code. Small table dinning experience allowing you to mingle with fellow passengers during meals. Open air dining makes toy feel a part of the beautiful natural setting. 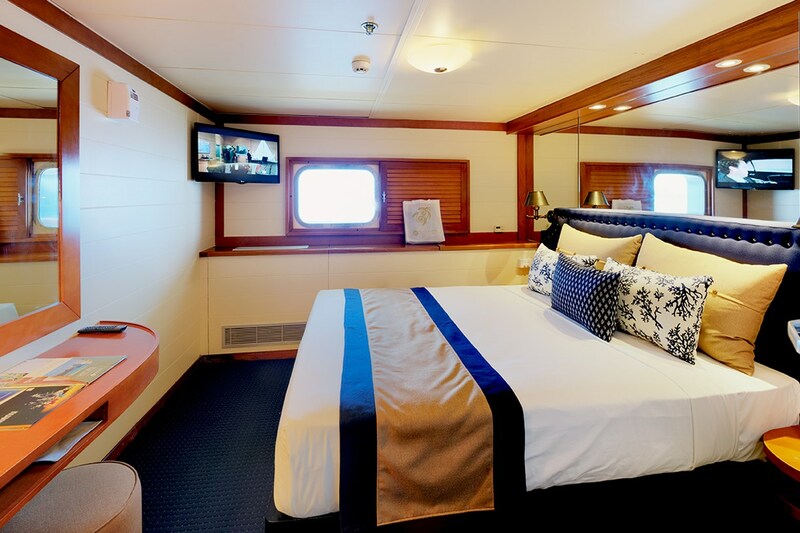 All cabins are located well above the waterline with large picture windows. All inclusive cruising provides lots of extra amenities activities and experience - great value! The Canadian currency is very strong against the Fijian Dollar. Currently for $1 CAD you get around $1.60 FJD. Fiji is what Hawaii was many, many moons ago. It is not super touristy and is very beautiful! Amazing beaches, snorkelling and diving along with a great culture!! Fijian people are very warm and probably one of the most friendly groups of people around! Fiji's quiet way of life, languid skies, peaceful beaches, palm-fringed islands, remarkable sunsets and picturesque scenery make the perfect setting for romance. Add a Blue Lagoon Cruise into the mix and you have all the ingredients for a dream honeymoon! 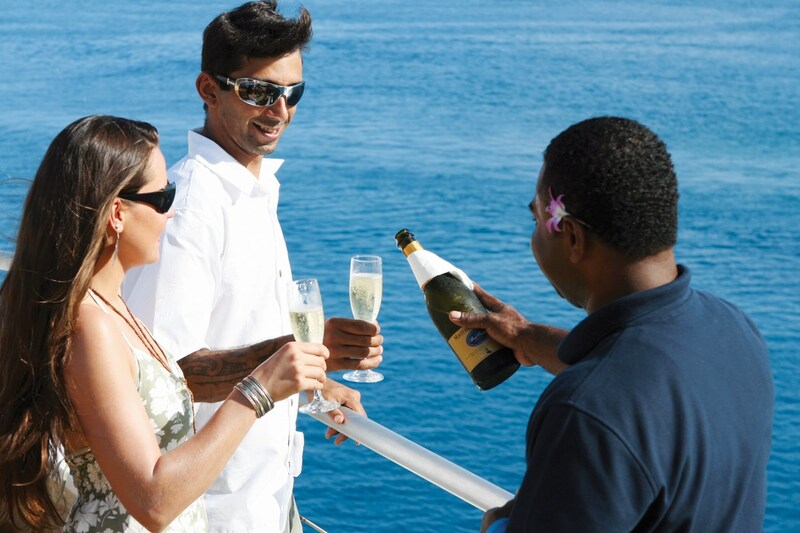 A Blue Lagoon Cruise is a splendid idea for honeymooners. You can pamper yourselves with a package specifically designed for newly-weds, providing an experience that will be one of the highlights of your life together. Ask us about adding on a Honeymoon package to your cruise! Make the majestic Yasawa Islands in Fiji the backdrop for your wedding! We can help you to plan the wedding of your dreams! Champagne on ice, a private candlelit dinner on the beach and one of the most gorgeous 'venues' in the world are included in your wedding package. You can cater for up to 68 guests and can tailor each package to your needs. 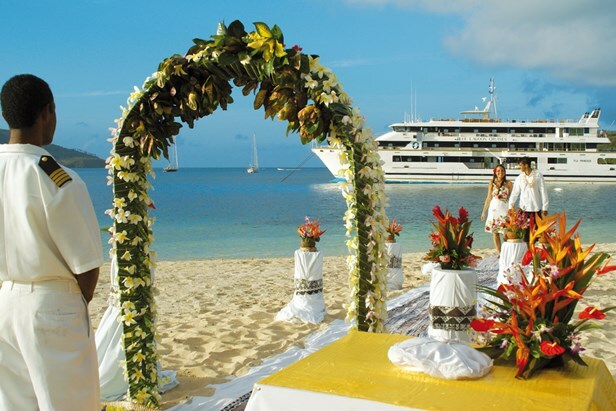 Weddings can be held either on the beautiful private island, Nanuya Lailai, or onboard the Fiji Princess. 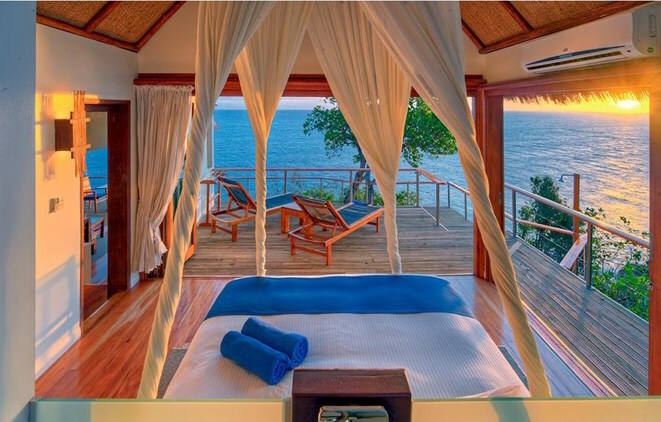 To extend your stay in paradise we can always add on a stay at one of Fiji's top luxury resorts! 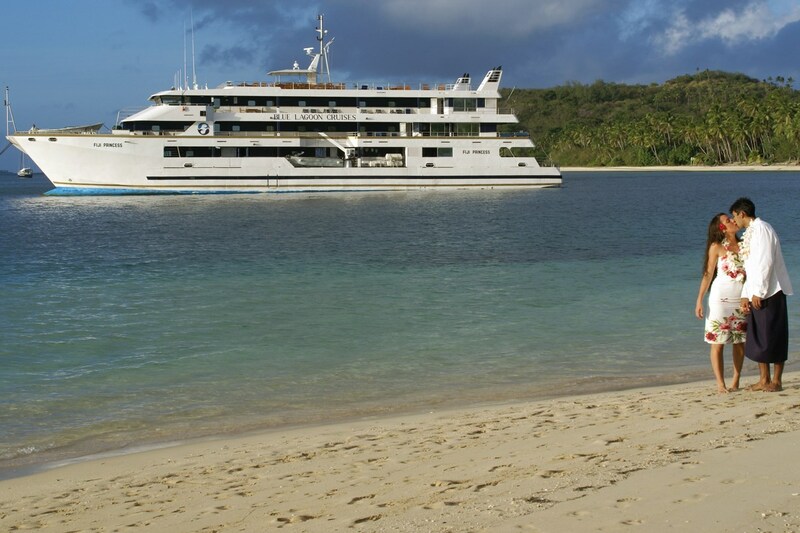 Consider spending a few nights pre or post cruise at the incredible Royal Davui Island Resort. This fabulous Virtuoso property is the ultimate private island escape! Perfect for honeymooners this adults only resort only has 16 private cabins, giving you lots of privacy. We can also offer our clients exclusive Virtuoso amenities such as complementary upgrades and massages, ask your agent for more information. 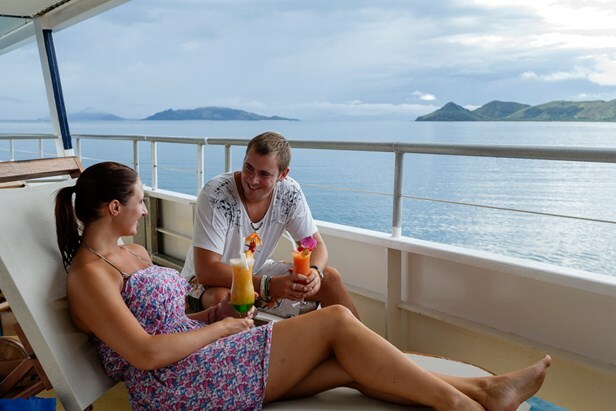 If you have been searching for the perfect romantic destination then consider spending some time cruising the beautiful islands of Fiji! Talk to one of our travel specialists today about arranging your cruise by calling us at 604-736-7447 or by clicking on the contact us button at the top of this page.